Facebook is cracking down on fake ‘likes’ that are being caused by spambots, malware or fake account users. Recent reports have highlighted the band of ‘black marketeers’ who sell likes to brands and questioned the credibility of user accounts liking pages. BBC ran a test that found that many likes received from sponsored ads on the social network appeared to be from fake accounts or users from remote countries that liked thousands of pages. Facebook addressed the issue in a blog post on Saturday, saying it would introduce new, automated efforts to remove likes gained by malware, compromised accounts, deceived users or bulk buy programs. “While we have always had dedicated protections against each of these threats on Facebook, these improved systems have been specifically configured to identify and take action against suspicious Likes,” the post reads. 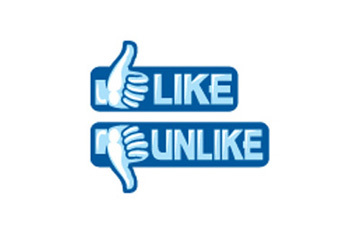 The social network estimates that less than 1% of any given page’s likes will be removed as a result of the measures. The black market in likes allows companies raise their profile on Facebook by purchasing thousands of likes at a time, a practice that may raise follower numbers but has little impact on marketing effectiveness. Young Australian entrepreneur, Mathew Carpenter’s business, getwithsocial.com, sells Facebook likes for $90 per 1000 Australian users. The business’ website claims to offer the “cheapest targeted Facebook fans on the market”.